Paypal has made things a lot more convenient for the consumer, as online transactions can be automated and easily made without entering bank information, keeping privacy a priority for the end-user. However, the service has instituted some questionable policies for those businesses and charities receiving payments or donations at higher volumes. If payments were instituted too quickly, Paypal would deem those activities questionable and block further transactions from going through, adding to profit losses for anyone starting a business that wanted to use the service. Yatagarasu Attack on Cataclysm creator Nyu Media has recently had their own crowdfunding campaign account limited as Paypal decided to hold their funds for no apparent reason. This has sparked controversy in the service, which has only lead to good, as Paypal has decided to revise rules regarding account limits this afternoon. Charity drives set up through crowdfunding resources will no longer be subject to archaic ideas. This is a step forward for anyone looking to start a campaign through Kickstarter or Indiegogo! You might have seen some press articles over the last few days about PayPal limiting the accounts of a few crowdfunding campaigns. Crowdfunding sites are an exciting and innovative new way to directly connect entrepreneurs with the people who want to help them create new products and services. However, there are unique regulatory and risk aspects inherent to this new way to raise money from supporters around the world. To name one, we sometimes hear from campaign contributors that they are confused about what exactly their money is going towards, and assume that they’ll get it back if the venture is not successful. Because the model is so new, it is potentially open to abuse. PayPal has a responsibility to ensure that the system remains secure, in compliance with Government regulations around the world, and that consumers who contribute to these campaigns understand where their money is going. Some of PayPal’s competitors solve this by simply refusing to allow their payment systems to be used at all for crowdfunding. We don’t believe that’s the right approach because, when done right, crowdfunding is a powerful catalyst for innovation. However, it’s clear that our existing policies and processes aren’t working quite right for this particular fundraising model. We are now in the midst of overhauling our policies in this space. We’re talking to the major crowdfunding players that we work with to put in place a permanent solution that avoids unnecessary account limitations. But making this work for all stakeholders – contributors, entrepreneurs, crowdfunding sites and us — is pretty complicated. As soon as I have more to share, I promise to update everyone. In the meantime, we will ensure that each crowdfunding campaign is reviewed by a senior member of my team before any action is taken. It’s a small, but important step. PayPal’s very essence is connecting buyers and sellers. The last thing we want to do is get in the way of the innovative new products coming from entrepreneurs raising money via crowdfunding. We never forget that we are looking after other people’s money. The customer-first approach is the essence of what our president David Marcus wrote in a recent post to this blog, and we have a responsibility to keep funds safe and protected. No one does this at the scale we do, in the number of countries we operate in, and with the number of regulators we have. 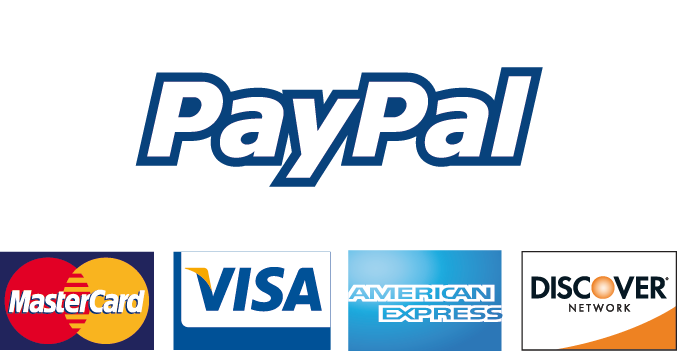 We’re making changes every day to get this right, but if anyone is having an outstanding issue with PayPal for a crowdfunding effort, here is my direct email: tbarel@paypal.com. If you read this far down, you deserve like, a reward or a cookie for your trouble.